Includes unlimited streaming of Silver Life via the free Bandcamp app, plus high-quality download in MP3, FLAC and more. 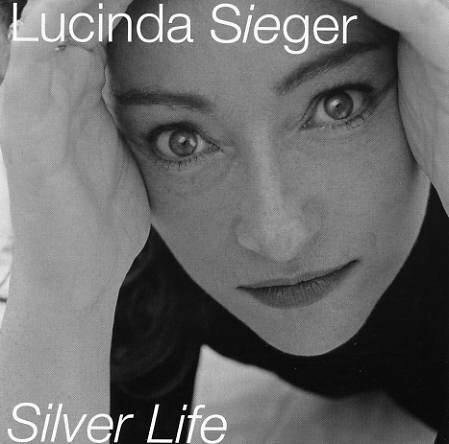 "Originally from Glasgow, Lucinda Sieger took the scenic route to her solo career, forming bands with members of electro hooligans Leftfield in the mid Eighties, coming runner up in the Alternative Miss World competition, and singing on the first ever Top Of The Pops to be transmitted live in 1991.
International singer-songwriter Lucinda Sieger first achieved commercial success with UK number one dance track “40 Miles” (Congress), on which she supplied the alluring vocals. Lucinda’s crystalline voice has since spawned musical liaisons with many successful artists including members of Leftfield, Massive Attack and Bronski Beat. Her new enhanced CD “Silver Life” hits the stores in May featuring remixes by world music maestros, Temple of Sound ( producers of Natasha Atlas) and atmospheric sound-scapers, Slipper (Loop Guru). Lucinda’s compositions successfully fuse ambient folk, jazz and dance in varying measures. The album focuses on creative remixes of tracks from her previous project “Heart in the Sky” which she co-produced with Temple of Sound. Included on the album is an Mpeg movie for the remix “Hollywood” to be played on PC or Mac. Lucinda’s haunting compositions, her unique voice and her talent for interweaving a multiplicity of musical influences provide the backbone for this masterful mix of chill-out music.